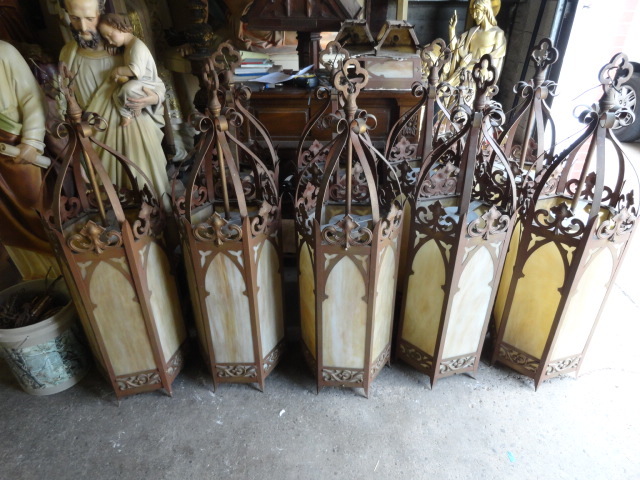 Illuminate your nave with antique cathedral lights. 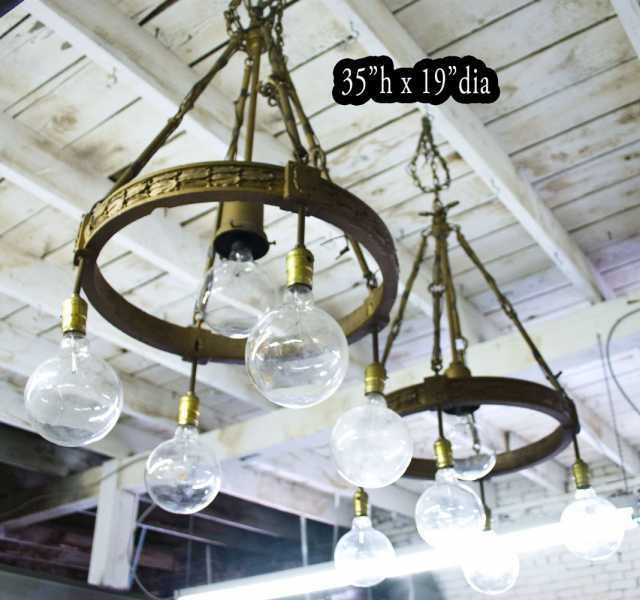 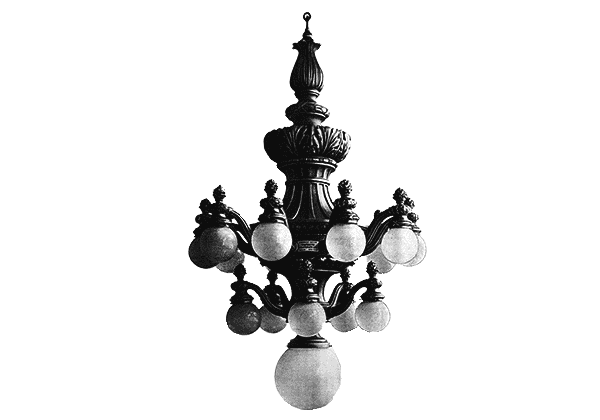 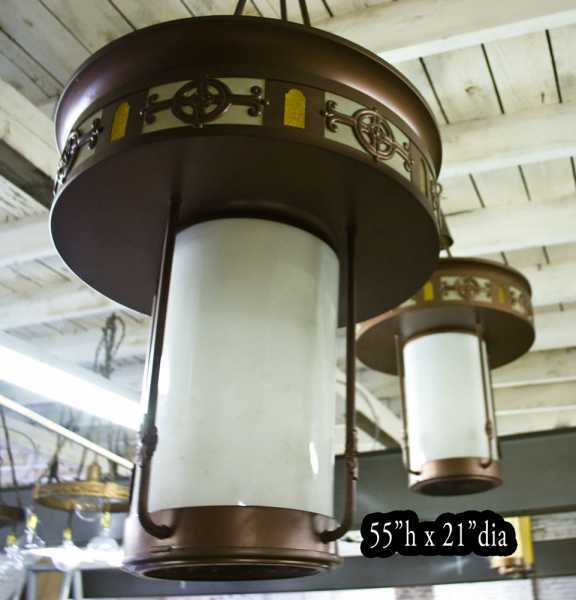 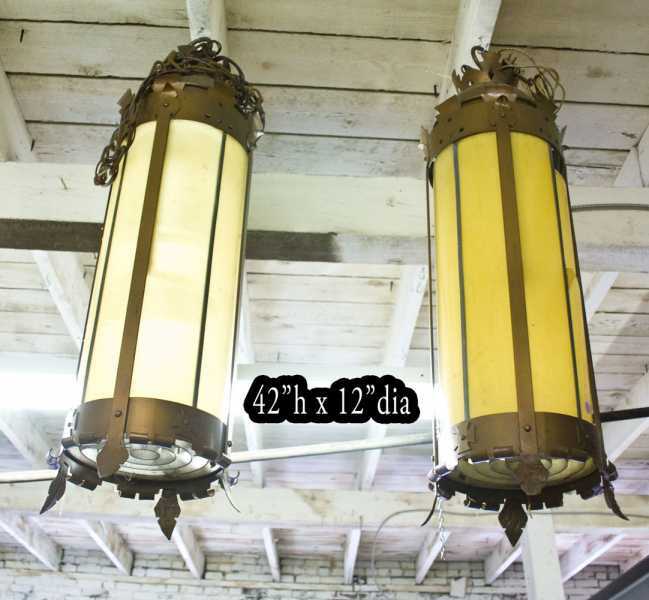 Our classic lighting fixtures are timeless. 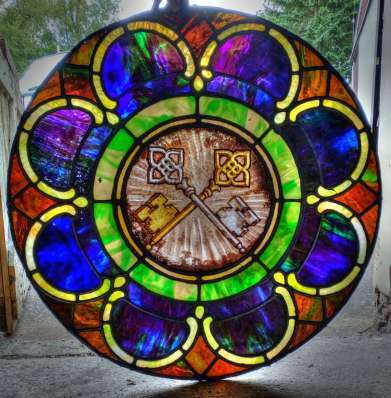 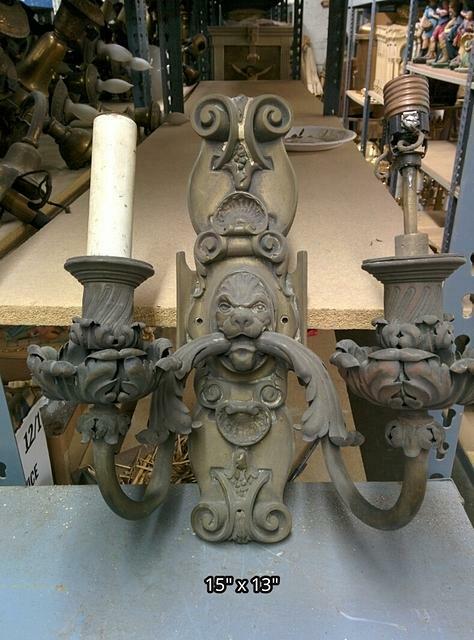 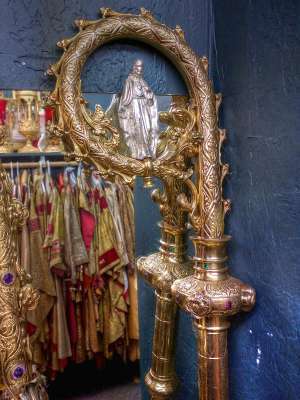 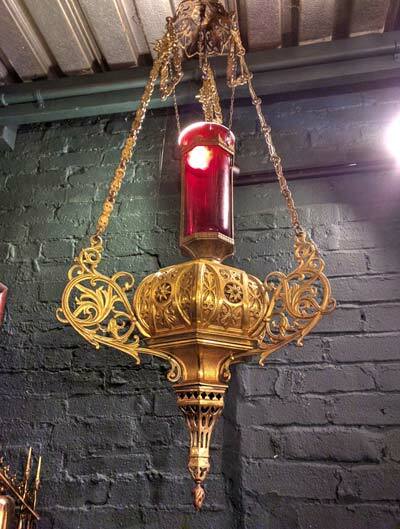 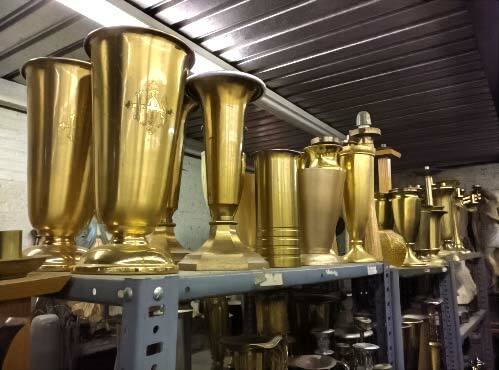 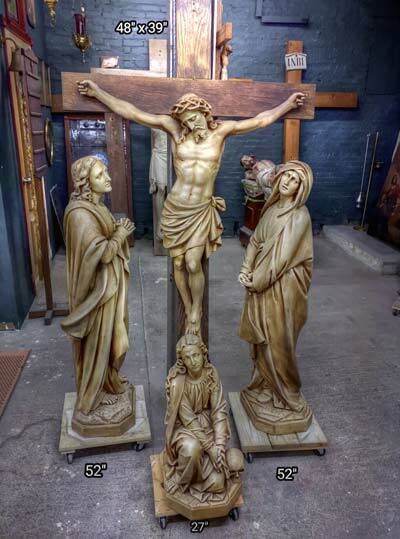 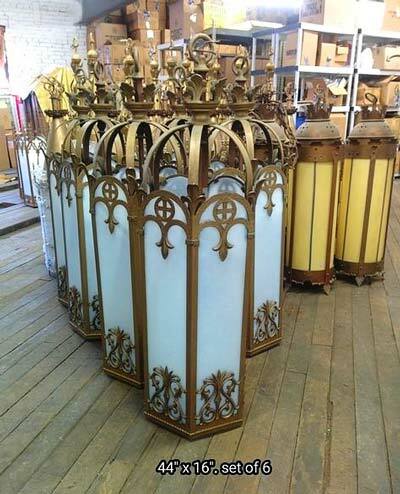 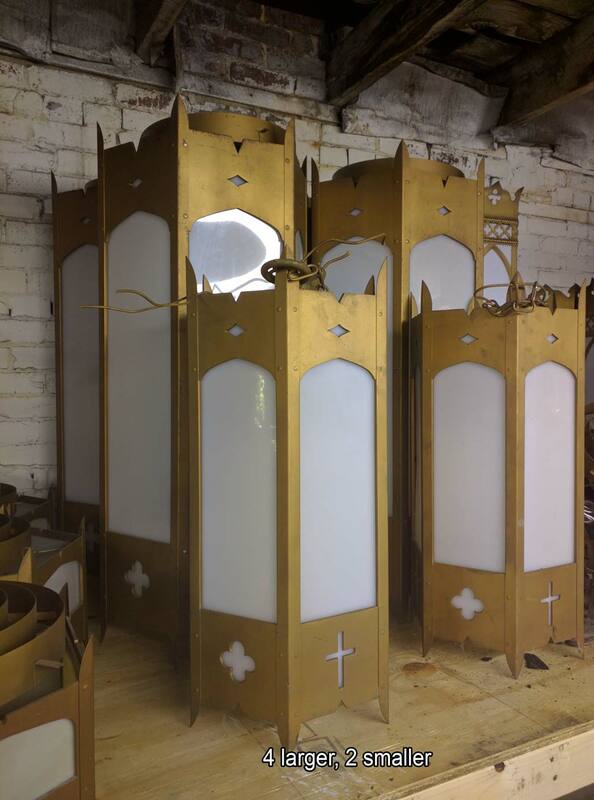 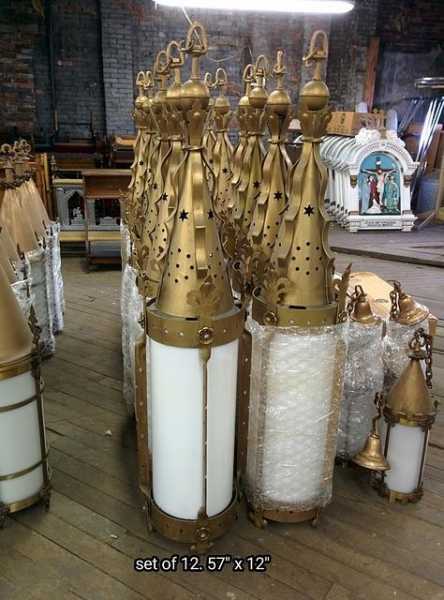 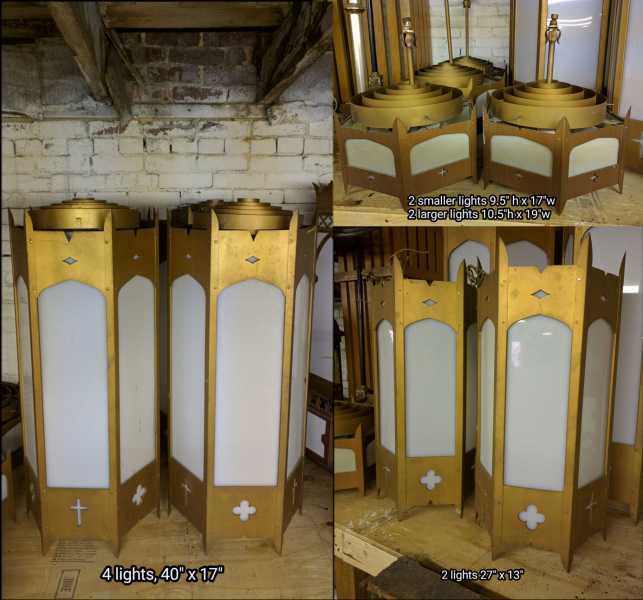 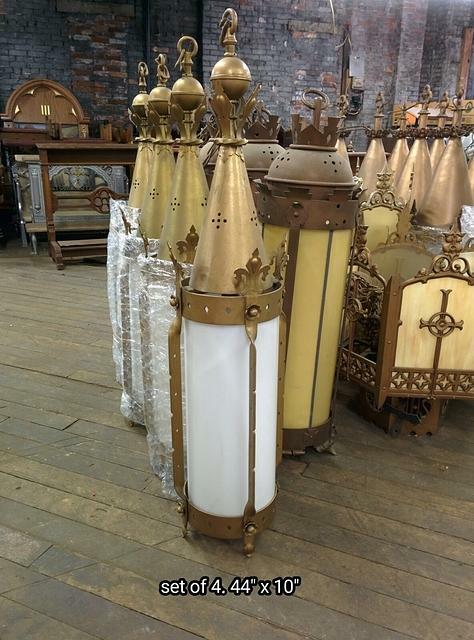 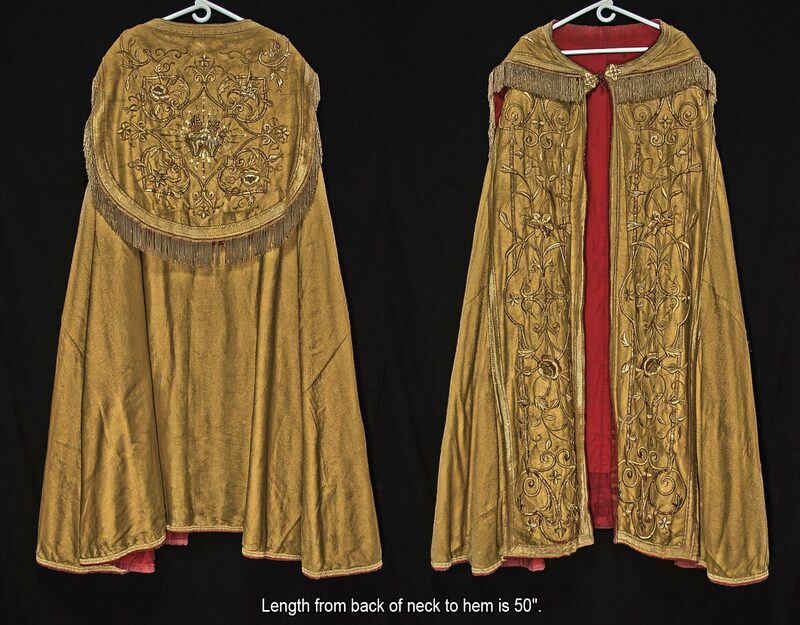 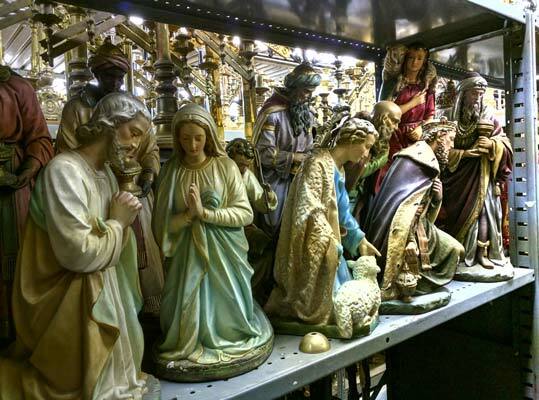 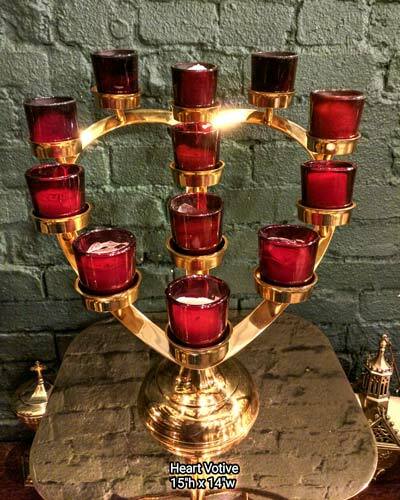 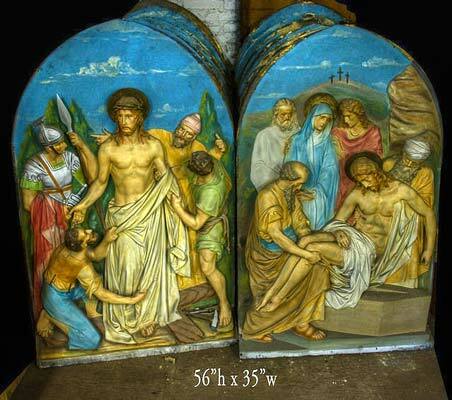 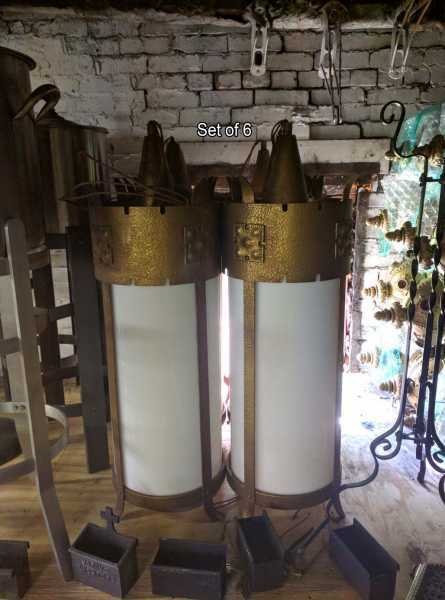 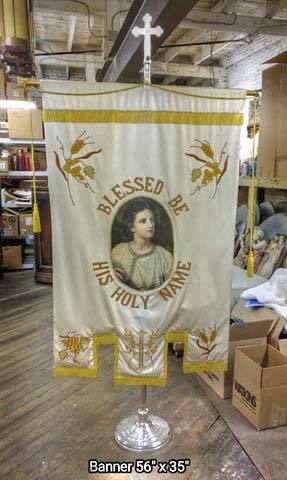 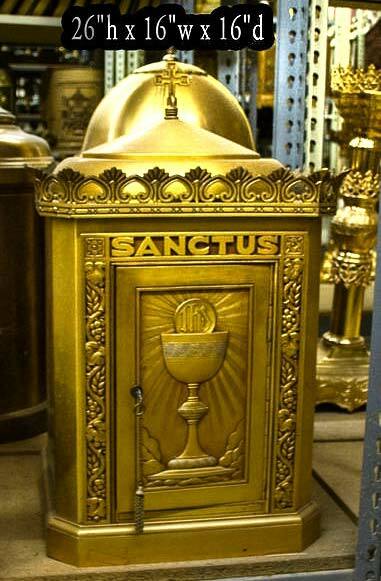 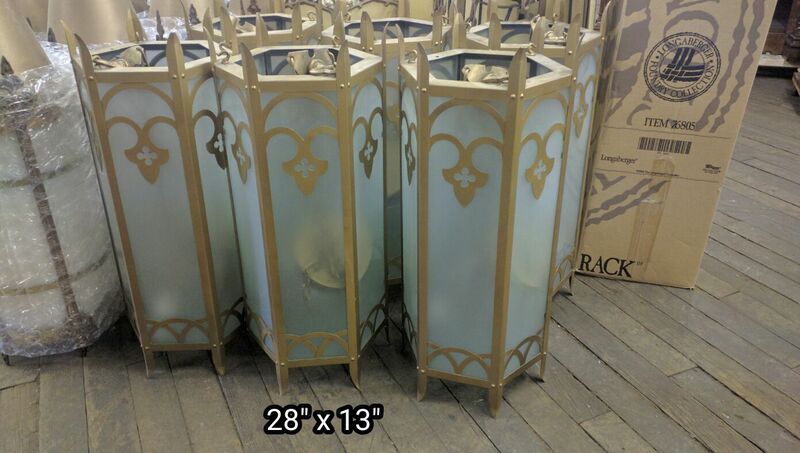 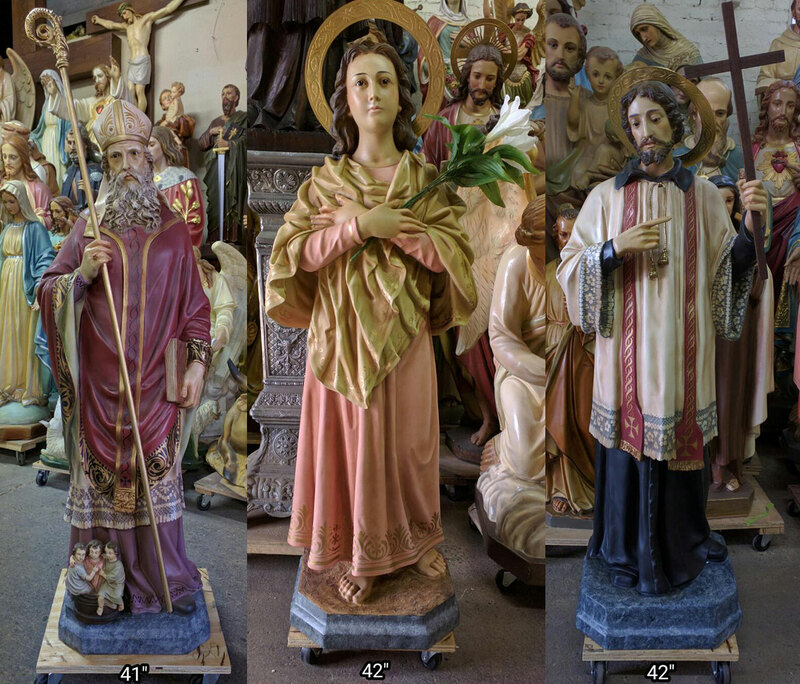 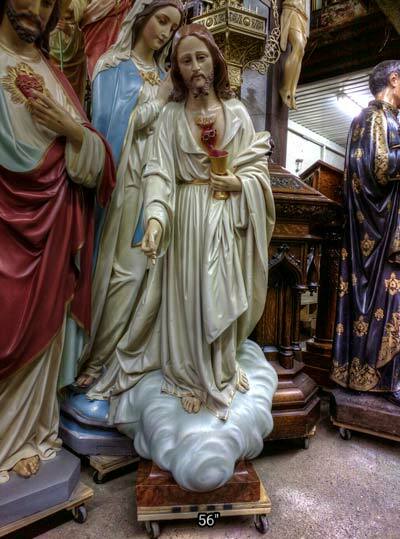 + Images in this gallery show some of the church interior cathedral lights we have for sale. 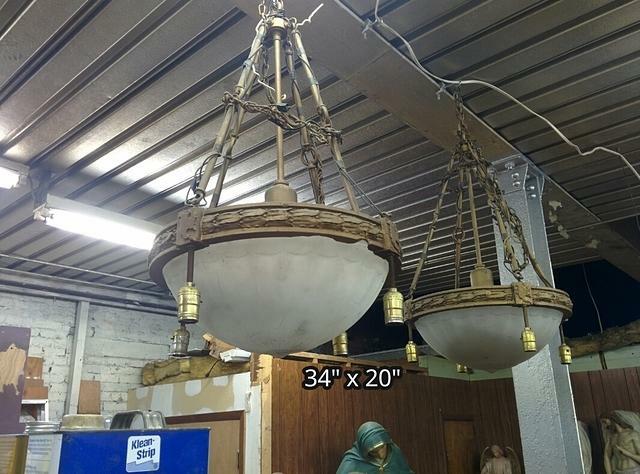 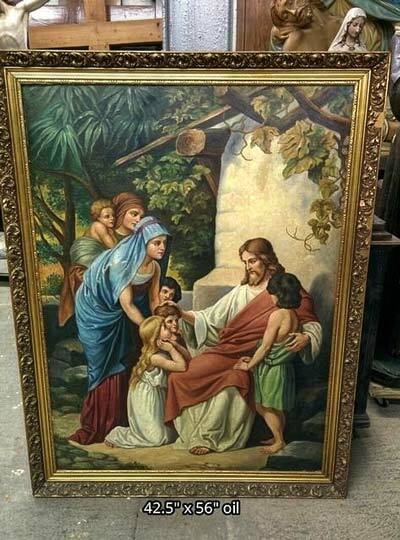 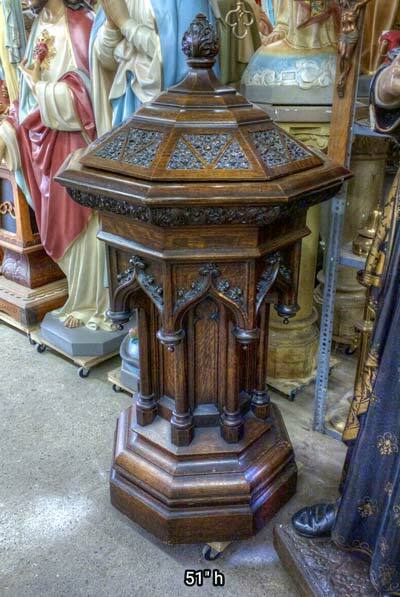 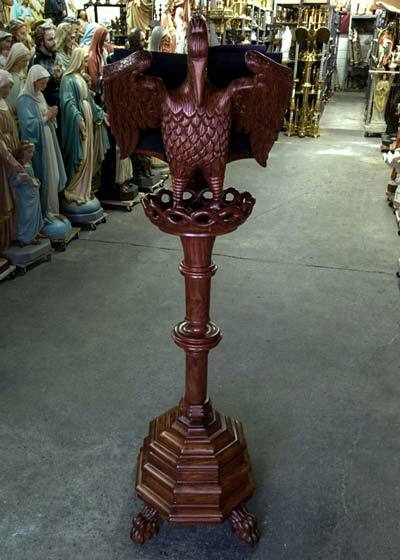 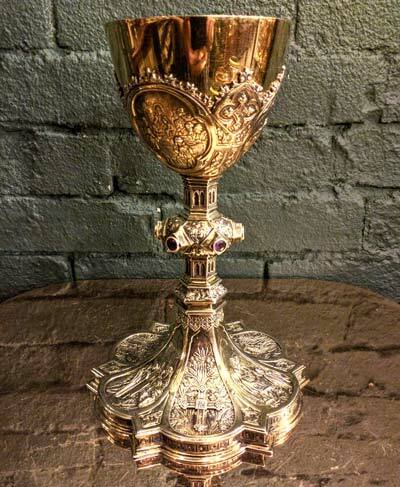 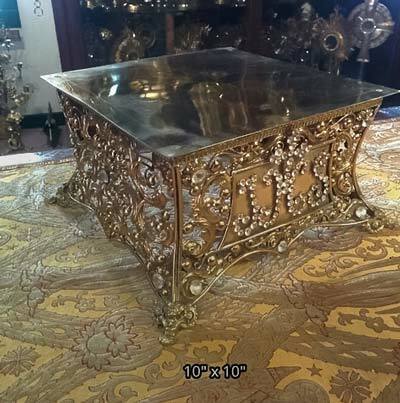 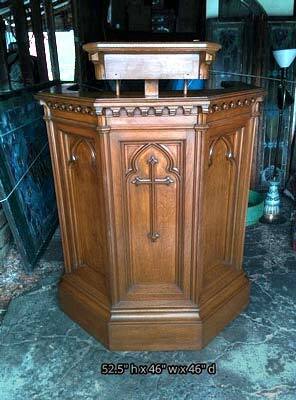 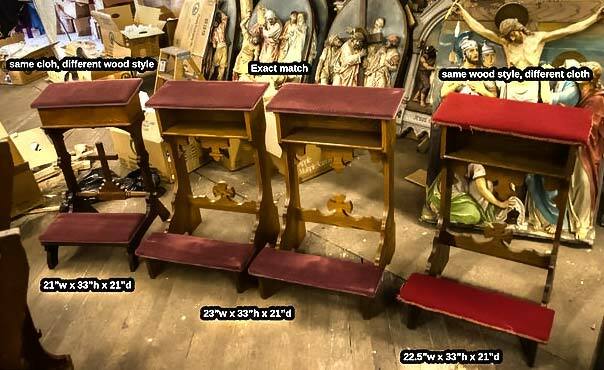 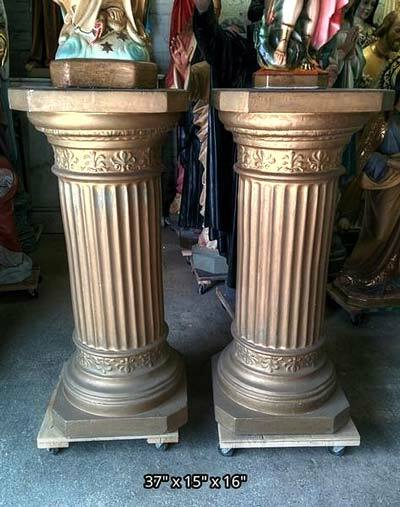 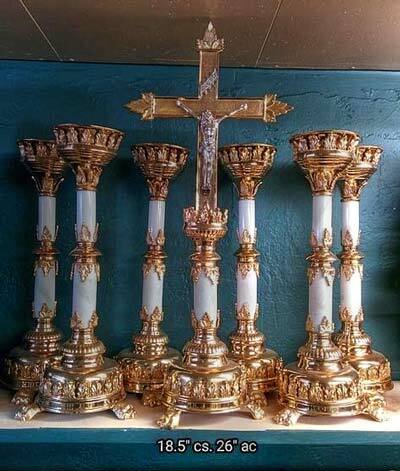 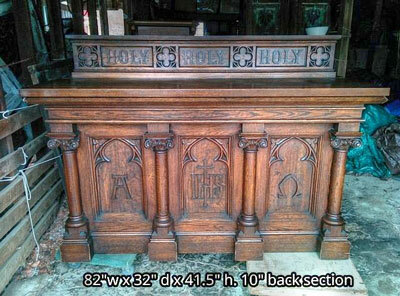 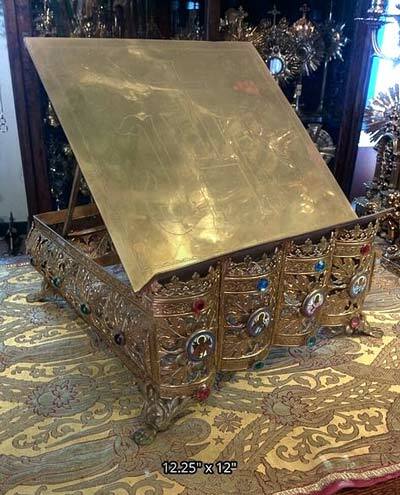 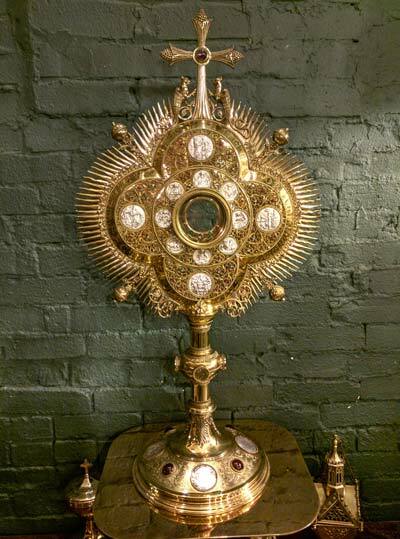 + We buy used church interior cathedral lights and entire church contents confidentially. 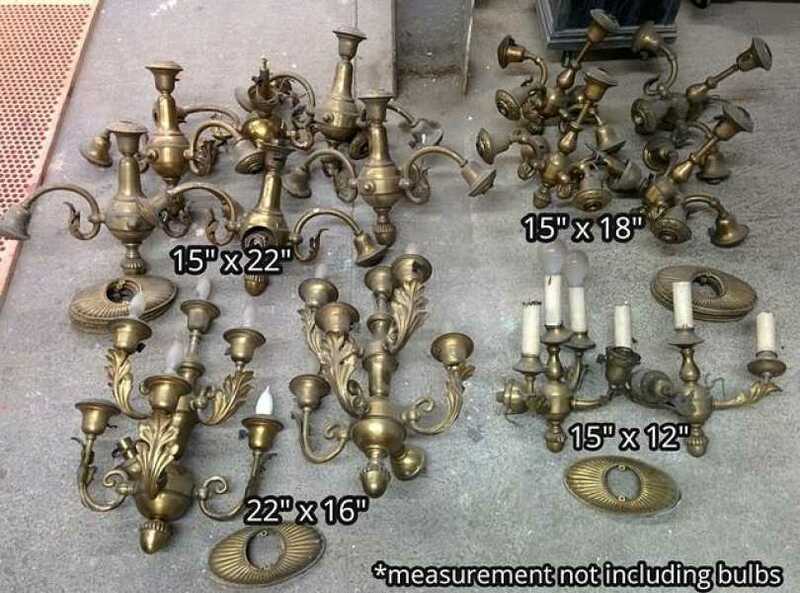 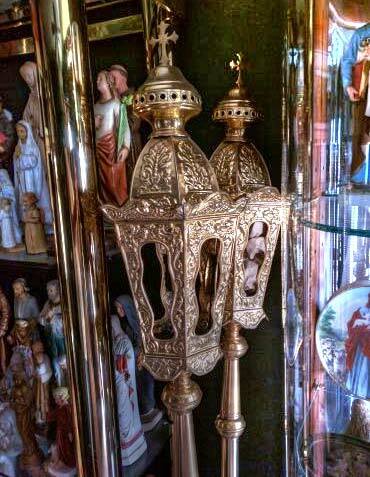 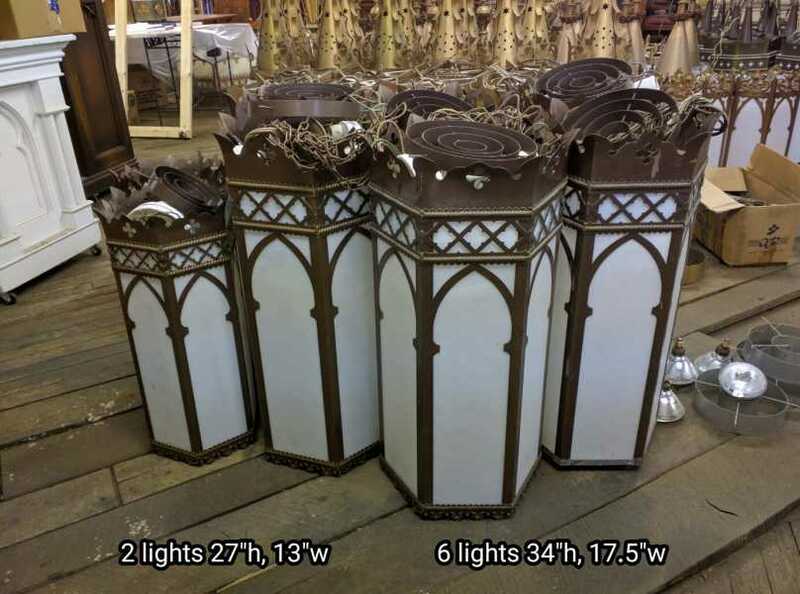 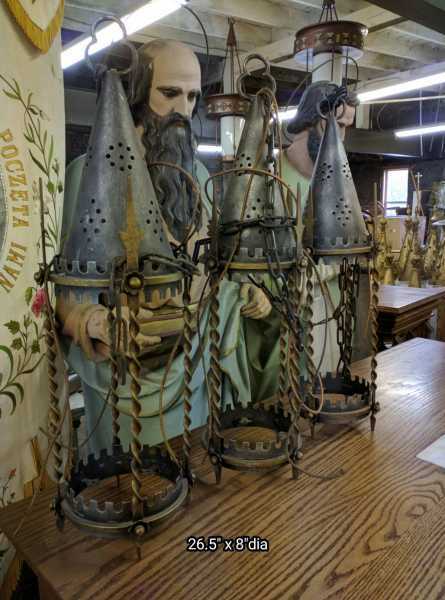 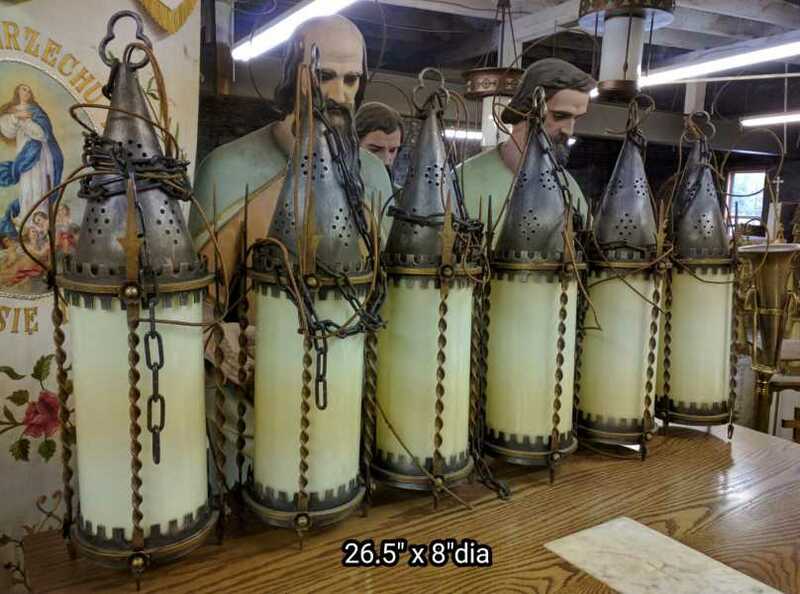 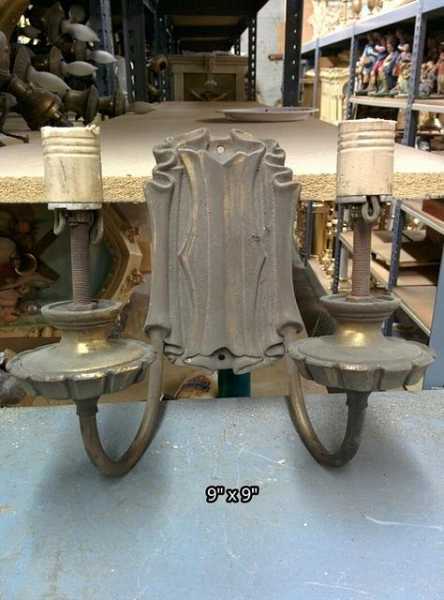 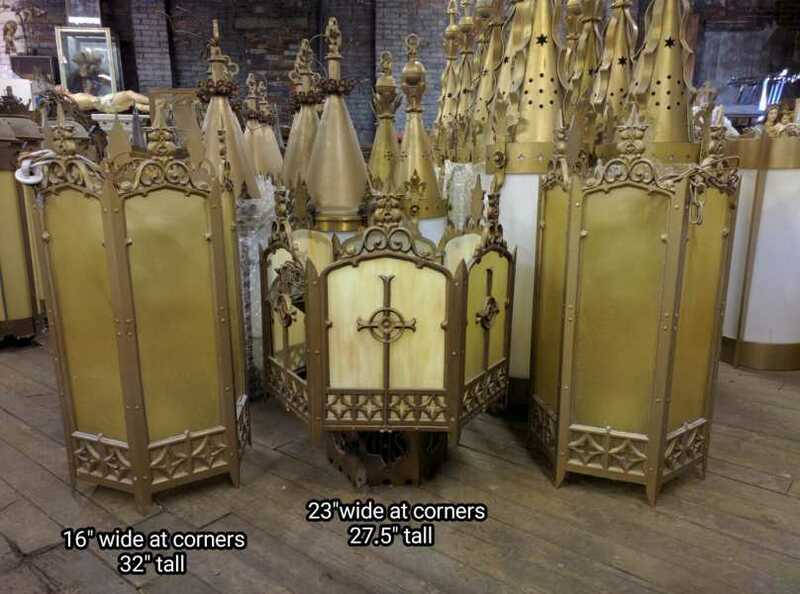 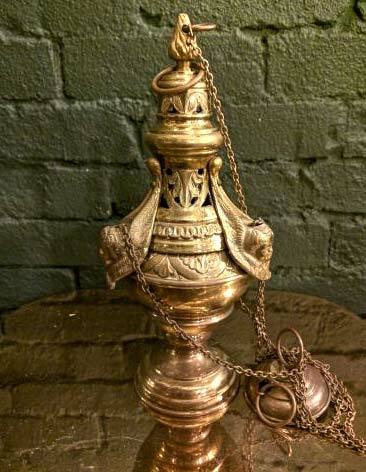 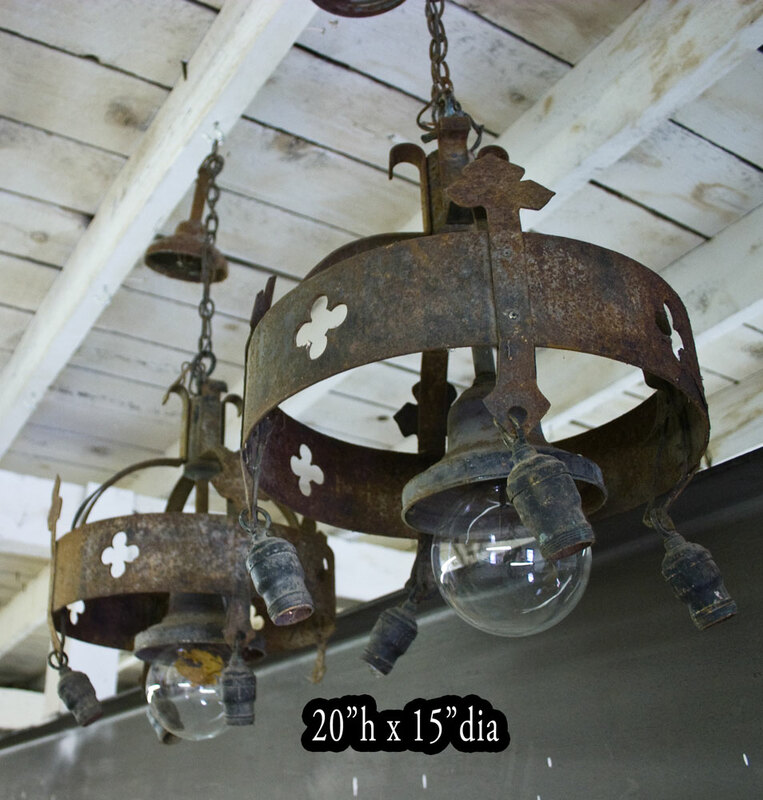 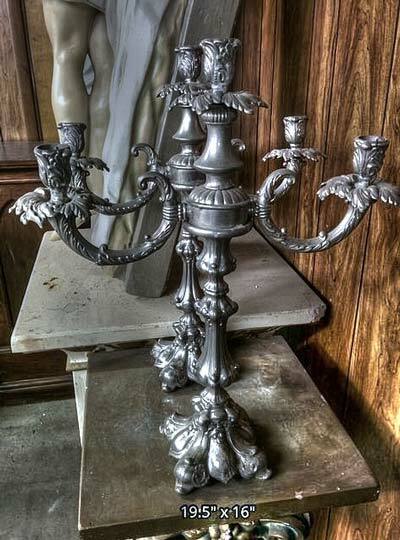 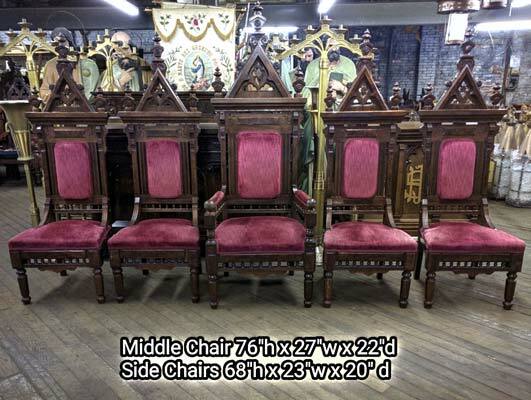 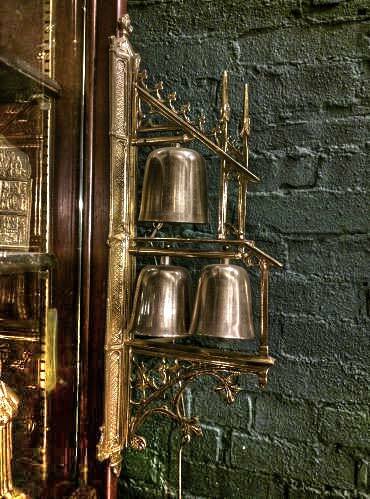 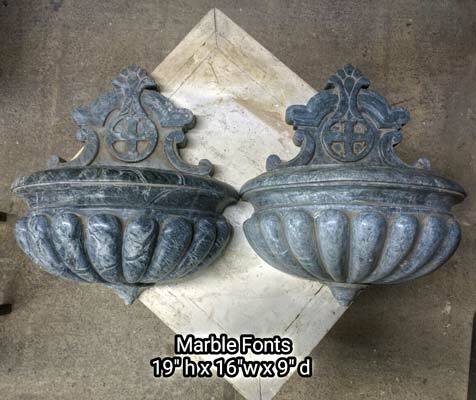 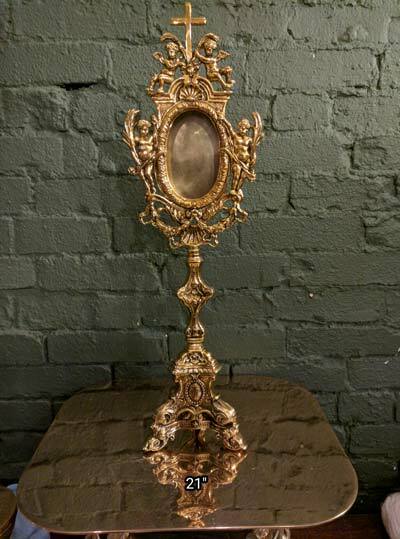 + Current inventory includes church interior sets of gothic hanging lights, a huge antique set of five wrought iron hanging lights and more.